Bread knife stainless steel and bioplastic. 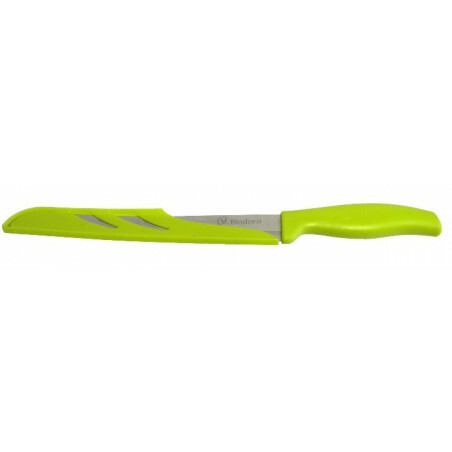 Bread knife, stainless steel and bioplastic, from raw materials such as starch, minerals and waxes. It does not contain harmful plasticizers such as bisphenol A (BPA) and B, or GMOs. They are vegans.